Midtherm Vitrelux Vitreous enamelled flue pipe is a single wall product manufactured and coated to the highest standards, made from 1.2mm thick superior grade zero carbon steel. Vitrelux is coated both internally and externally with a base coat and top coat of high temperature resistant and acid resistant vitreous enamel coating. 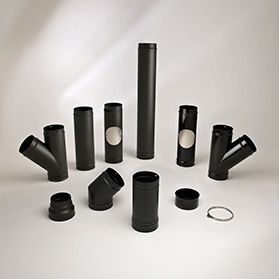 Available in diameters from 100 to 200 mm - Stocked in sizes from 100 to 200 mm Maximum operating temperature 600 deg C Standard finish is: High temperature acid resistant vitreous enamel (Matt black available in all sizes. 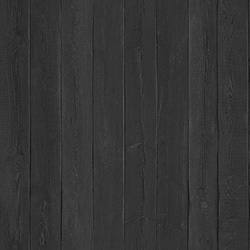 Gloss black is available in 100mm, 125mm and 150mm. A limited range is available in gloss ivory in 125mm and 150mm.) Supplied Boxed and fully labelled 1 year manufacturer's warranty for all products installed and maintained in accordance with the installation and usage notes. Suitable for the following Applications: Gas, Oil, Solid Fuel, Pellet, Biomass, Due to the chemical specification of the steel used for this product, it provides an excellent surface for the glass coating to adhere to. An available alternative to this range is the EcoVit product, a 0.6mm thick enamelled flue.